Facebook – Friend or Like? You guys are pretty intelligent. I want your opinion on something that has been bothering me for a few months now. 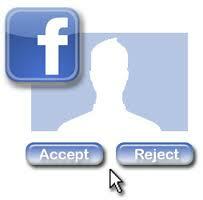 Do you prefer to ‘request’ the friendship of a facebooker or are you happy to just ‘like’ them? I have two Facebook pages. The first is my personal page. I’ve had it for years and even though I don’t visit very often, have ignored my farm, and neglected my animals to the point they have up sticks and moved to Cafe World, it is the place I know I can catch up with old school mates, family members, and close friends whenever I like. Then I have another page which is my ‘Donna Newton Author Page’. I do frequent this page a lot. I post blog updates, talk about what I’m up to, and discuss topics with other writers. My dilemma is this. My personal page gets quite a few friend requests from people I don’t know and as this page is, well, personal, I decline them. My status updates on this page are private after all, as are my friends. My Author page on the other hand is free for everyone to like. You don’t even have to ‘like’ me. You can view the page, scan uploaded photos, and read the statuses. You can comment, join in and then, if you really feel the urge to – you can ‘like’ me. It’s simple. I meet new people, have a laugh and in some cases, even added some ‘like’ peeps to my personal page. So, what is my dilemma? Should my Author Page be a ‘like’ page or a ‘request’ page? I know that I prefer to ‘request’ friendship rather than just ‘like’ someone. Psst – I am going to run this poll on my FB page, too. It will be interesting to see if others agree with you. If it’s any consolation, I was leaning towards changing from ‘like’ to ‘request’, but now you have me really thinking about staying put. Hey its okay 🙂 personally, I think facebook needs more options available to it. But thats just me lol. Its all down to preference, 🙂 hope all is well. I was getting so many friend requests that I just decided to delete all the pictures of my kids and personal information like location and phone #. Then I accepted the requests, and I’ve been enjoying it. I still visit my author page to though, because there I focus on more writterly stuff where my facebook page is more personal. Thanks for this, Jennie. I am leaning towards doing this, too. I keep my personal and ‘author” page separate on FB – I have had too many instances where I found things I thought were shared with a limited group suddenly become visible for everyone – not that I am putting up anything all that spectacular on FB, but I prefer family pictures and such to stay within a circle of people I actually know. As far as the like vs request thing goes – I think that “like” sends a different message than request. For an author, or anyone putting up a public image, it is important, I think, to keep boundaries on what is and isn’t shared. I think that “Like” shows that this is a public image vs the private one, and at the same time offers a little more professional look. The bigger concern I have is FB’s new option to “like” a profile even if someone hasn’t accepted your friend request – and still let you see their feed. I agree with what Rebekah said, and totally agree with the “like” comment, nearer the bottom of her post. Facebook needs to adapt to more privacy and less “blinging” the website up. The “like” settings, should certainly be something to consider looking at. I think, for a “like” page, facebook should introduce some real-time boundries within whats visible and what isn’t. I have a regular person page, vs a fan page, but I never post pictures of my children or any personal information. I’m leery of FB because it keeps changing in ways I don’t understand. But with my limited understanding, I think what Mark and Rebekah had to say was an excellent assessment. I think “Like” puts up an extra barrier, but it also sets up more limited expectations of connection. Piper, I’ve looked for your FB fan page and can’t find it. Add a link. I think friends are better that likes. Yes, Win. I was thinking the same. Do people feel like they know you more because they are your ‘friend’? I was interested to see what others thought on this topic. I too have been pondering the friend versus like issue. I use facebook as purely “business”. I don’t have family on there and, with me being quite a private person, that suits me. Saying that, I’m not sure whether a friend request makes someone a lot more approachable than a like or, in contrast, a like is more professional. I have no idea what to think. I’m seriously thinking about just using my personal fb account for a handful of groups I have on there and setting up an official page to have people ‘like’ me. Thanks for asking the question, it’s made me think… (and that’s always a good thing!! lol). I’m starting to hear a lot about FB letting people follow your personal page without prior consent. I think I may just delete all my pictures and use it as a professional page too. I am so confused on the subject. I have a few bloggers that have friend requested me on my personal page so now I have given up on my author’s page. I don’t have a sign-up on my site yet… I either way it is a great way to promote your blog and the like button is immediate for someone who wants to follow. I don’t find Facebook very helpful to my writing, but Twitter is a great resource. Hi Earl. I agree with you on Twitter being a great resource. I do find my FB author page excellent for meeting new peeps, though. There is some great interaction on there and I keep it very casual. Do you have a page?.